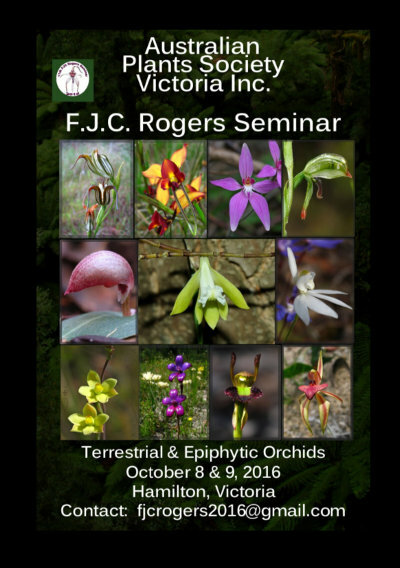 The 11th FJC Rogers Seminar 2016 on Terrestrial and Epiphytic orchards. The time was finally arrived. Registrations for the 11th Fred Rogers Seminar are now open and our easy online registration system can be assessed from our web site at www.apswarrnambool.org.au You can also find there the details of both the Saturday and Sunday programs from our drop down menus.